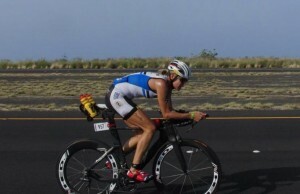 As some of you know by now, one of the athletes I coach, Lisbeth Kenyon, again won her age group title in the Ironman World Championship yesterday in Kona in a time of 10:03:26. I could not be happier for this extraordinary woman, friend, and competitor. The word "congratulations" hardly seems tribute enough. In many ways, Lisbeth's win is beyond amazing, and is a reflection of a ton of work this season. And I will tell you this...everything that has happened over the past year—including a painful bout of shingles in the past month, and the fact that she has three growing kids that keep her incredibly busy—is a testament to the relentless work she did to again become the champion she is. The best in the world in her age group. Everything emphasized with Lisbeth in her training—from when we started in earnest in January, right through her race day—reflects what we do with EVERY athlete who trains with the Pursuit Athletic Performance team. She did all the work in training to get there, and she executed a near perfect race. Lisbeth, truly, is a living example of what can be accomplished when an athlete follows the whole-athlete, integrated training we lay out for ALL competitors who train with us. ANY ONE OF YOU—at ANY LEVEL—can replicate what Lisbeth did to get to YOUR optimal result. No, not everyone has the innate talent of a world champion athlete, but that does not matter. You simply need the ability to learn the TRUTH about what works in training, act on it, be willing to let go of counterproductive methodologies, and DO THE WORK. It's as simple as that for your greatness and success to be realized. Congratulations again to Lisbeth! And may all of you uncover the champion within. 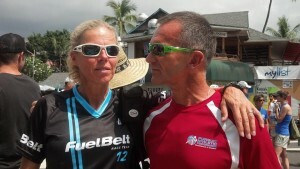 P.S.--Mid-Ironman, Lisbeth got tossed over her handlebars and off of her bike at an aid station, landing on her back! She brushed it off, got back to her race execution strategy, and got down to business. The mark of a true champion!